One of the best parts of our church pew business is traveling around the country and meeting other Christians. Fellowship is an important aspect to being a Christian, especially when we gather in His name to accomplish something together. Mission work is a large part of being a Christian, and it takes takes a community to accomplish it. Even sending one person far away to another place to work in the name of the Lord takes many others to support that person. As we see it, meeting other Christians during our work installing church pews is important to our goals of spreading the Word. 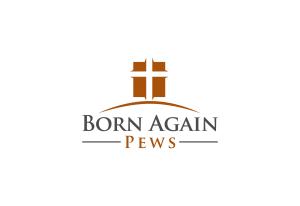 We know our mission is to provide high-quality church pews and church furniture for congregations at the lowest cost possible so more money can be used for mission work to spread the Word. As the Bible says in Matthew 18:20 “For where two or three are gathered in my name, there am I among them.” Gathering together to install church pews and getting to meet other Christians is a blessing that helps us experience God in all that we do. When we install new church pews, like we did in Lynchburg, Missouri, for Pine Creek Baptist, we love to meet church members. After all, when we install pews, you get us too! Our warranty is the best in the business and we’re more than happy to come and make repairs if needed in the future. We were happy to get to know some of the members at Pine Creek Baptist. It’s a very vibrant community, full of families who gather in the name of God. And it’s clear, He is there among them!